Home » News » The Return Of Demolition Hammer! The Return Of Demolition Hammer! 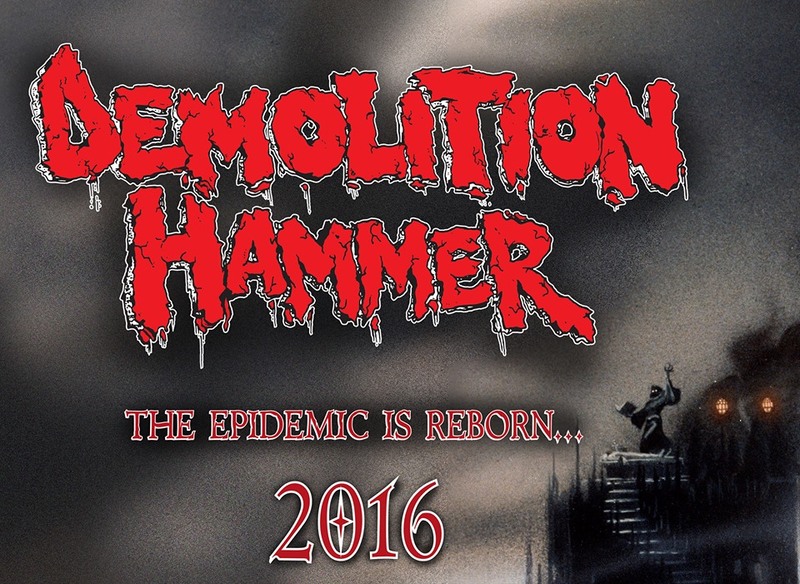 Demolition Hammer are officially back and in 2016 the epidemic is reborn! With a devastatingly simple statement on their Facebook page, Demolition Hammer have just made 2016 the year of brutal thrash! “The violence returns, the options few, the casualties many. You try to convince yourself to take cover, avoid the confrontation or pray for a glancing blow………negative, all attempts are futile. Only one strategy remains….. embrace the intensity head on, resolute in the fact that you will suffer irrefutable damage. Come to terms with your decision and witness the brutality first hand. We’re ready….here comes the pain!